So, you’re thinking, “Jason, why would you review this movie?” Well, because last night there was nothing to watch on the telly, and I thought, this movie was destroyed by the critics…let’s see how bad this movie can get! And wouldn’t ya know, it’s not nearly as bad as I expected! Which is not to say it’s all that good, but it is certainly worth watching if your satellite dish has been knocked out by a storm. I should say upfront that I am the opposite of a sci-fi fanboy. I don’t know much about the backstories, or why this one is “ludicrous” versus any other film in the franchise. I know that I mildly cared about the characters and the outcome. I believed that THEY believed in the stakes. And the action sequences were, overall, enthralling (which is WAY more than I can say for “Spectre”). Also, I’m a sucker for Jason Clarke. Ever since he did the cancelled-too-quickly “Chicago Code,” I’ve always looked forward to his performances. He is easily the high point of the film and the reason the story works at all. Emilia Targaryon is gorgeous as ever, and acquits herself well in the thankless role of the young Sarah Connor. 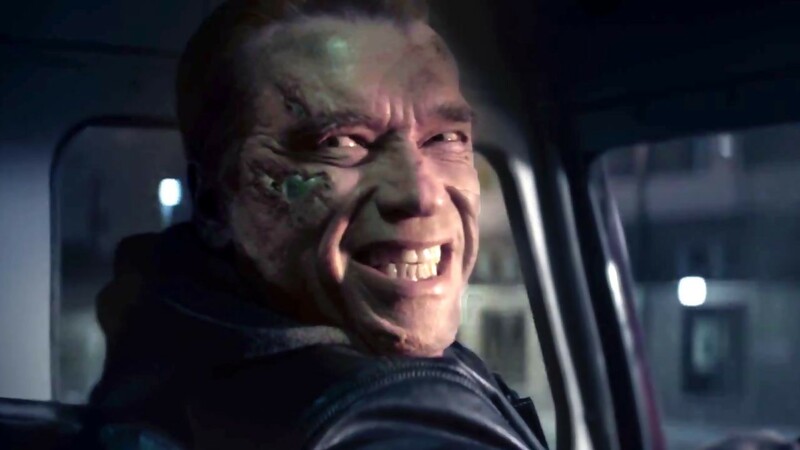 Arnold is Arnold – pitch perfect as a stoic robot incapable of human emotion (take that anyway you want). But Jai Courtney, who I assume was pretty far down on the list of choices for this role (which I imagine started with Tom Hardy), is incredibly weak as the final member of the good guy menage-a-trois. The nuts and bolts of the film are where it kind of falls apart. Alan Taylor is an Emmy award-winning television director, which is evident by his need to explain so much to us. The dialogue is at least 50% made up of gobbledy-time-travel-gook to make us believe in the updated plot points. Listen, Mr. Taylor (and too many writers to list), we were taught three movies ago to suspend our disbelief when it comes to the whole time travel thing. Like the old adage says…don’t tell me..SHOW me. I would love to have seen more about the main characters’ lives, pre- and post-apocalypse. Or…hey…here’s an idea… J.K Simmons! He gets a total of four or five minutes of screen time, while, in actuality, he’s the glue that connects the film! How about less tech crap and more of him?! My guess is Mr. Taylor fell in to the trap of being concerned that two hours wouldn’t be enough time for us to get it (since TV shows give us hours and hours of backstory). Relax, we get it. But, let’s be honest, you ain’t watching this film for the script. If you’re watching at all, it’s for the action and visuals, which are pretty damned great and pretty near great, respectively. My only problem with the action is that they seem to go in to every fight with a gun – knowing full well guns do nothing. Finally, Lorna Balfe’s score which consists of variations on Hans Zimmer’s original themes, is serviceable enough. Yup. Perfectly decent and occasionally fun (umm…I probably should’ve led with that and skipped the rest).